The Tasting Room is one of the most Romantic places to go to on a dinner date. Be sure to be well dressed as you will encounter a lot of sophisticated people here. This place is known more for it's High Tea, however, we had been there for a dinner. We started off our meal with their Signatue Wineocktails which are wine infused cocktails. We opted for the one with Strawberry Lace and it was mind blowing! You have to try this out, served in their chic Wine Glasses. We paired our Ravioli in white sauce with some asparagus stuffing with this Wineocktail. It was heavenly. Then they had this section on their Menu serving Tasting Plates. There were limited vegetarian options. However we opted for this Tasting Plate (I have totally forgotten the name of the dish as it had some wierd French Name). 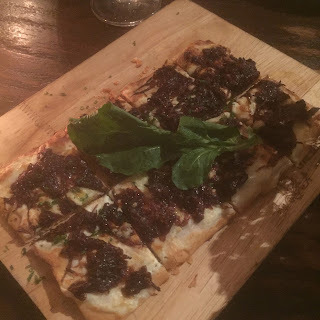 It had cracker like base with some caramelized onion relish on top of it. 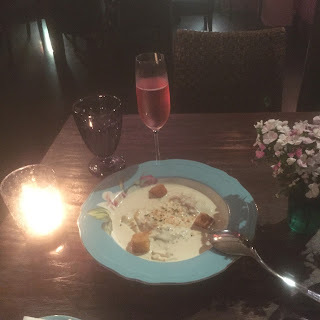 It was an out of the ordinary kind of dish. 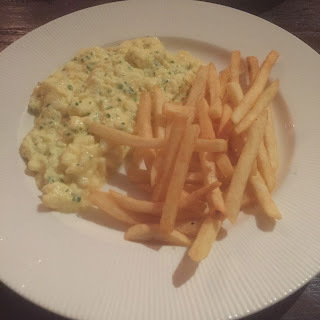 We then opted for some Scrambled Eggs with Fries as it is our all time 'Mid Meal' option. It was bland but quite cheesy and filling. 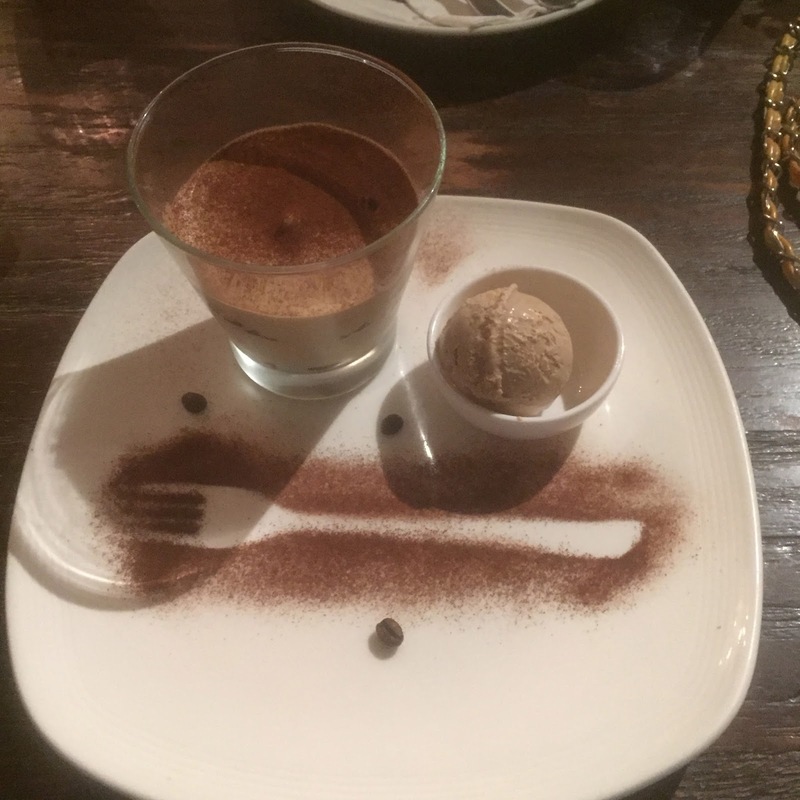 We then ended our meal with their Tiramisy served an Espresso flavoured ice cream. The Tiramisu was well crafted and the Espresso Ice Cream was soooo GOOOOOD ! I would opt for that ice cream as against any other Coffee option. It was Paradise Personified! A Must Try!!! The place had a pleasant ambience with lovely chandeliers and floral crockery. I am looking forward to aping the British and visiting this place for a High Tea soon.